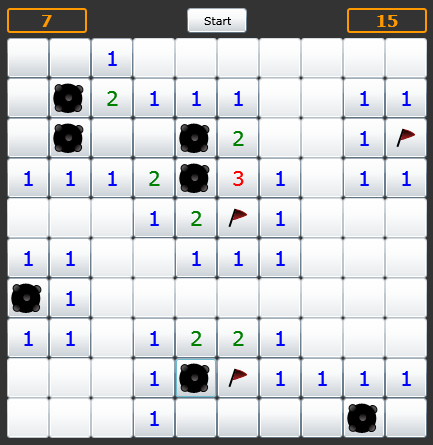 Earlier I have created a WPF and a Windows Forms version of Minesweeper. Today I proud to show you my Silverlight 2.0 (RTW) version. Click on the image below to play this version.